Let us attempt to answer some of the commoner excuses for African homosexuality that are found in the literature. First, for the claim that Africans learned homosexuality from the Arabs or that Africa has been contaminated by Islam, the answer is: so what? Europeans often look for some kind of pure, timeless African culture. They suppose Africa was changeless and isolated until it was discovered by Europeans. But it was Europe that was changeless and isolated in the Middle Ages. 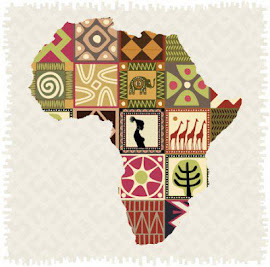 Africa was always engaged in commerce and the dissemination of ideas with the rest of the world. Europe was the backwater and Africa was the cosmopolitan, sophisticated continent. Africans certainly could have invented homosexuality, and probably did so many times over. Or like any cosmopolitan people, Africans may have known a good idea when they saw it and adopted it as their own. Sure, Islam is foreign to Africa, but no more so than Christianity is foreign to Rome. In any event, as Kinsey wrote: "The homosexual has been a significant part of human sexual activity ever since the dawn of history, primarily because it is an expression of capacities that are basic in the human animal." The suggestion that homosexuality was foreign to Africans almost always contains the hidden implication that Africans are not fully human. A number of examples have been given of homosexuality in cultures that did not approve of it because these examples are often overlooked. Nonetheless, by far, most African societies, like most societies throughout the world, were neutral or approving of homosexuality at least for some people at some times. The compulsory heterosexuality that holds sway in Africa today goes hand-in-hand with colonialism. Second, the suggestion that Africans learned homosexuality from Europeans is absurd for the reasons just given. Some of the Oyinbos/Wazungu did keep houseboys, but so did many rich and important Africans, and many who were not so rich and important. The rise of the modern gay cultures in African cities is sometimes blamed on Europeans or Americans. The same thing has happened in Japan where many Japanese now believe that "gaibar" is a native Japanese word. The indications, however, are that gay culture is what it is because that is how homosexuality manifests itself in any industrialised, urban area. Certainly some details of fashion are heavily influenced by Americans and Europeans, but international styles of art and music just as clearly have African roots. Whatever the merits of the arguments about cultural imperialism, gay life is but a small part of the issue. I am not disposed to view the rise of an international gay culture as a bad thing. If Kampala street hustlers pay particular attention to European and American customers, so do all African entrepreneurs, whatever they want to sell. Somehow the writers who are most shocked and distressed by finding African hustlers are the same writers who find nothing very disturbing about female prostitution. Traditional marriage has nothing to do with romantic love. If a homosexual man does not love his wife romantically, the same may be said for many of his heterosexual neighbours. Romance is reserved for the bush. In traditional society, people do not have a free choice of marriage partner. The homestead is not just a residence, but is also the principal place of business. It is the office, bank, old people's home, place of worship, warehouse, theatre, bar, and school. In short, traditional marriages are business partnerships in which the whole community has a stake. The whole community participates in making the match. Several societies of Africa provided a system of sexual privilege which ensured that women would produce children even if their husbands were impotent or sterile or simply not interested. Marriage between two females was widespread; those unions produced children to no one's amazement. In traditional society the contradiction between being a male homosexual and being a husband and father is very slight. Fourth, the excuse that the polygamists had monopolised all the women has no basis. Some marriages by polygamists are to old and feeble women, sort of a social welfare system to extend to them the husband's protection. While there were some large harems, only a small percentage of men had more than one wife. In sum, the young man's potential mate usually was not in another man's harem, but was in her mother's hut because the young man was not sufficiently well-established to marry.While the availability of women certainly influences the sexual behavior of some men, men in prison, for example, it has not been shown to affect the number of preferentially homosexual men in the population. But even if polygamy were the cause of African homosexuality, so what? Polygamy, even independent of the influence of Islam, is clearly an indigenous African institution and any homosexuality that arose from it would clearly be indigenous. Fifth, when the anthropologist writes: "X says there is no homosexuality," that only tells us what X knows. We must then ask whether X would know if there were homosexuality. Kenyatta assures us that there is no homosexuality among the Gikuyu people of Kenya; that is, no homosexuality among his people. But if you read his book it becomes apparent that anti colonial hero Kenyatta may be, he certainly was a sexist individual. Many anthropologists rely on exactly one primary informant. Many of the African cultures listed as "no homosexuality" were reported by only one writer. In cultures with well-known traditions of homosexuality, it is usually possible to find at least one writer who denies it. This would pose a problem even if we could assume that investigators have always been entirely frank. But in fact, the record is full of deliberate cover-ups and admitted suppression. Meanwhile, there is ample evidence to show, just as any fair observer might predict, that homosexuality is indigenous to Africa, just as it is indigenous to every other place that human society has been found. African homosexual people have not succumbed to the "white man's way," but express an entirely human and natural variation of human sexuality. Indeed, it is the black homophobe who has absorbed a false and hurtful European ideology. Hambly, p. 181; Westermarkin Cory pp. 104-105 (Odongo=Mbundusubgroup); Mott (1984). Hulstaert pp. 73, 87, 88. Johnston p. 409, see alsop. 404 of 1st edition.